Some kids are natural bookworms and must be yanked back to the real world on occasion while others would much rather be running around and having adventures of their own. How do you create incentive for everyone to keep reading even when a teacher isn’t expecting a book report? 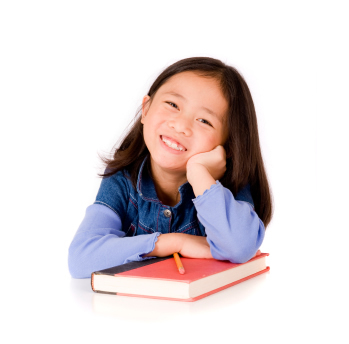 Summer reading programs are an excellent way to encourage reading while school is on break. They can also be tailored to any extent in order to fit every lifestyle. 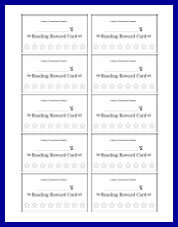 These reward programs can be used all year long. Some keep track of time by the minute while others count by book. The rewards could be anything from a book of the child’s choice to an event or outing once the goal is reached. Keeping track of the books or minutes read is the fun part. You can use sticker charts, punch cards, thermometer charts, mountain climber graphs, points, or tickets. Figure out which method would be best for your child or group and let them pick the reward. Adults can participate too! It’s important to be a good role model and let your kids see you reading as well. Why not make a reward system for yourself? Here are some summer reading program links and don’t forget to check with your local library! Schoolastic Summer Reading – Guides for parents and educators. Kids can also join with their schoolmates to beat a world record for reading. Barnes and Noble Summer Reading – Kids read any 8 books and write about their favorite parts. When they bring the complete tear sheet into a participating store they can choose a book from the list for free. BookAdventure.com – Run by Sylvan Learning Center. Kids create a book list, read them, then take a quiz on each book to earn points and choose from a prize on the site. It also allows for a custom prize option. Reading is Fundemental – RIF has a lot of great advice and links about motivating kids to read. Activities include making a book chain and "Around the World in 80 Books." We love it! Start building a book list with the help of these recommendations – Everything from picture books to chapter books organized by theme. Tips for Parents – A very informative and helpful collection of advice by Joyce Cockson, M.S. 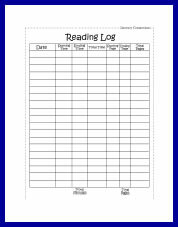 Use these FREE printable Reading Log and Reward Card sheets to kick start your own reading program. Be creative! Keep track of time, pages, and progress.